The perfect Cornish Sea Salt starter kit! Three fantastic kitchen ingredients in a lovely presentation box. This makes a great gift idea for anyone who enjoys cooking. 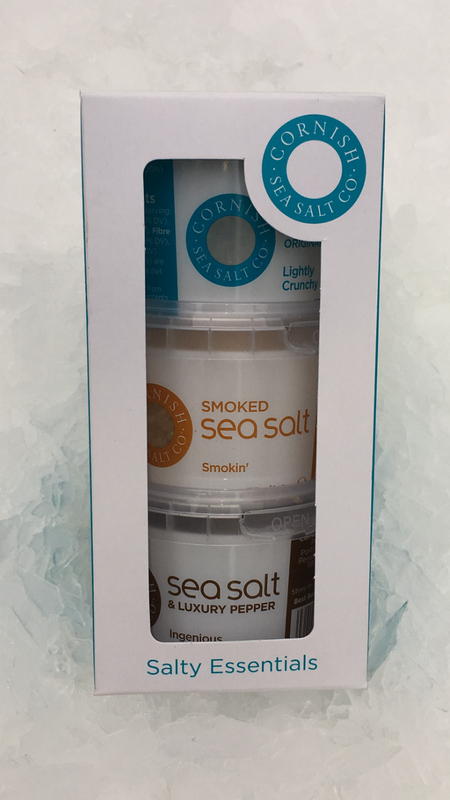 The set contains three Pinch Salts – Cornish Sea Salt Original, Sea Salt and Luxury Pepper, and Smoked Sea Salt.